For the members of the PNEAM, the creation of a classical Arabic ensemble in Palestine was a dream come true, and judging by the ecstatic response of Palestinian audiences to the ensemble, it is an unforgettable experience for them as well. “The connection between me and tarab music was always through the recording, radio or television, but tarab is a live thing” Ramzi explains. 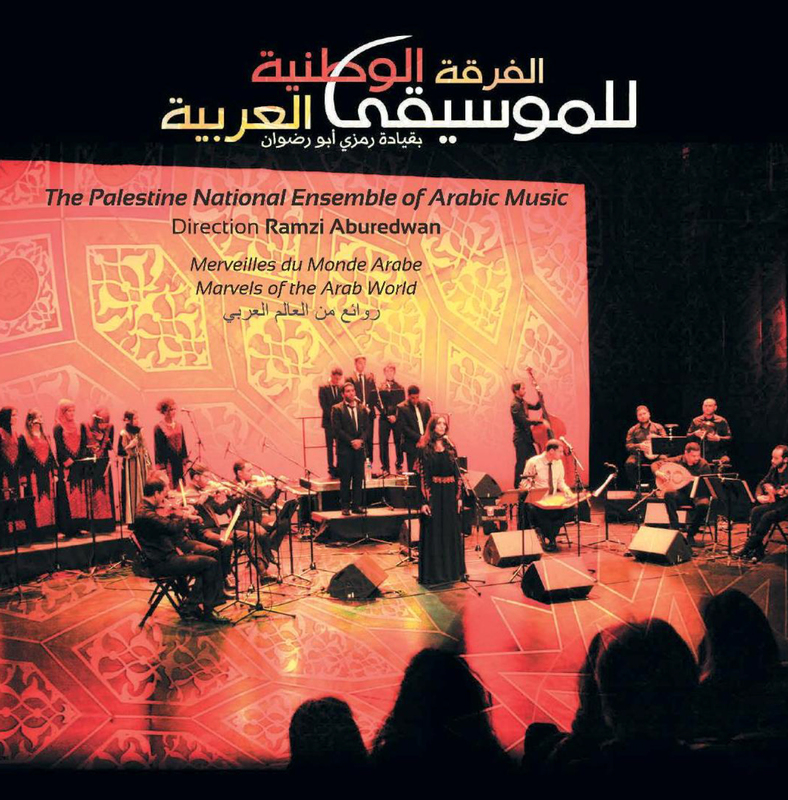 Created in 2010 by Ramzi, who also serves as its musical director, The Palestine National Ensemble for Arabic Music (PNEAM) is reviving and breathing new life into the classical Arab musical heritage in Palestine. In the first decades of the 20th century, Palestinians participated freely in the great traditions of the Arabic culture, and the Jerusalem based Huna-al-Quds Arab ensemble of the Palestine Broadcasting System (PBS), was an important institution carrying these traditions. Indeed, some of the greatest names of Arabic music were members of this ensemble. This tradition was severed in 1948, when prominent members of this ensemble were forced into exile, and since then Palestinians were cut off from this tradition as active participants. The PNEAM enables Palestinians under occupation to feel part of the larger world from which they were cut off; a project that imagines a world without its current borders as it reaches into the past. And for Ramzi, it is a personal homage and gift to the grandfather who raised him and with whom he listened to tarab music on the radio everyday, from the time he was seven years old. The 25-30 members of the ensemble, hailing from all parts of historic Palestine—including Ramallah, Jenin, Haifa, Nazareth, Tulkarem, Nablus, and the refugee camps Al Amari, Arrub and Al Fawwar—provide a tangible symbol of Palestinian unity and opportunities for young, talented Palestinian musicians to develop their talent. Through live performances, it renders classical Arabic music traditions accessible to Palestinian audiences of all walks of life. The PNEAM’s transformation of classical Arabic music into lived tradition in Palestine is a multiplex musical project. The ensemble includes top-notch instrumentalists, vocal soloists and female and male choruses. It interprets historical genres such as samiat, longat and and muashshahat as well as twentieth century Arabic repertoire classics (tarab music), including works by famous artists such as Farid El Atrache, Sabah Fakhri, Mohammed Abdel Wahab, Umm Kulthum, Ismahan and Riyad Sunbati. In addition, ensemble members dig into the archives to develop repertoire by Palestinian and Arab composers that has never been performed, and stages pieces written specifically for the orchestra by contemporaries such as Khaled Saddouk. The ensemble has recorded one CD to date (Muashahatuna, 2012) and has toured in Europe, the Gulf, and Palestine. Muashahatuna, 2012. The muashshah is a musical and poetic genre based on strophic form that appeared first in tenth century Andalusia and that has since spread to the Maghreb and the Levant. It was chosen as the first subject for recording by the PNEAM as it is often considered the epitome of Arabic music and a repository of the musical and literary heritage of the Arab world. The CD includes 22 muashshahat, some newly composed and set to lyrics by prominent Palestinian poets and some taken from traditional repertoire of different countries in the region. The CD is accompanied by lyrics, transcriptions and detailed liner notes.